Thanks Darko and Ana - we're delighted you had a great adventure with The Tuk Tuk Club and thanks for being such great adventurers. Hopefully we'll see you in Northern Thailand again one day! Had a wonderful time exploring the countryside driving the tuk tuk. Thank you! A fantastic holiday from start to finish, fun, different, a great bunch of people and an amazing team who looked after us. Loved being up in the mountains beyond where most tours go. Had some fun stops at local coffee shops and small roadside stands for food. We ask that you make sure you have a driving license from your home country that allows you to drive a manual (stickshift) car. Even better would be for you to get an International Driving Permit before you travel. If you have any problems / questions please don’t hesitate to get in touch with us. I’m travelling solo, is there a single supplement charge? There is no better way to make friends than on an adventure like this when you are travelling alone! If you are an adventurous solo traveller you do not have to pay a compulsory supplement however you will be matched you up with another solo traveller of the same gender on the trip. If there are no other solo travellers of the same gender then you will have the privacy of your own room. What type of travellers join your tours? To be honest, literally, everyone can join one of these amazing tours. Their oldest traveller to date was 81 (and one of the best Tuk Tuk drivers they have ever seen) and the youngest driver who participated was 18. You will see adventurers from all over the world and all walks of life – however, what everyone does have in common is a real desire to discover Thailand and, of course, they have an adventurous spirit! Is there luggage weight/size limits on the Tuk Tuks? The luggage/weight limitations can vary depending on the tour you select. 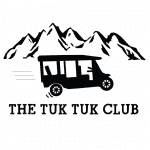 For example, if you choose a 3-day adventure it is recommended to pack light (1 x overnight bag) and the Tuk Tuk Club will store your larger luggage in their local office before you pick it up again on day 3. On the tours that are 5 or more days in length, there is more scope for larger bags/suitcases. However, it is recommended to limit yourself to one large suitcase/travel bag per person. Is it possible to adjust the itineraries? Unfortunately, on the standard tours, it is not possible to change the itineraries as they are a set package however if you do not wish to participate in a certain activity such as trekking etc, this is not a problem. 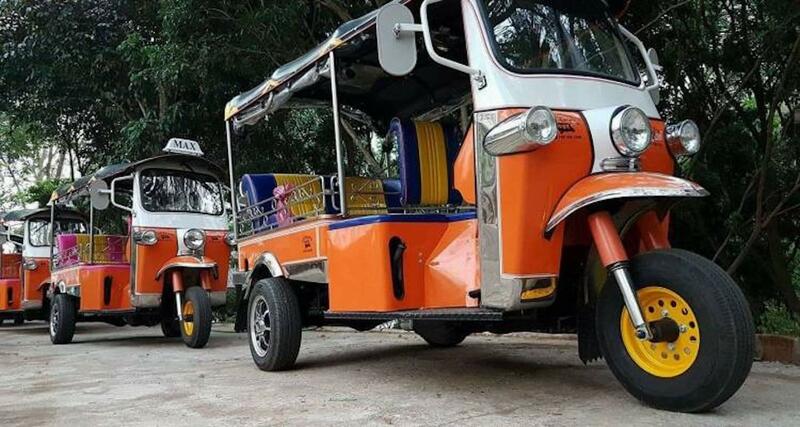 Will the Tuk Tuks be air-conditioned? You will find that all the Tuk Tuks have the best air-conditioning possible, the amazing cool breezes provided by mother nature as you ride up and down the roads. A sense of humour, casual relaxed clothing and some spending money (around GBP 250-300 will be more than fine).